There are lots of choices when it comes to bath products for your kids. I tend to stay away from the chemically, sweet, fake-smelling stuff. I think my children smell lovely as they are (most of the time!). But it is hard to choose with so many products on offer! 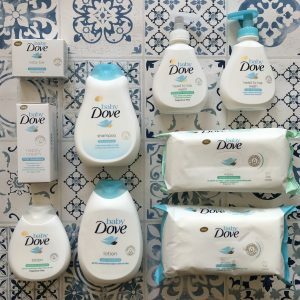 So when Baby Dove got in touch and offered to send us some of their products to try out, I really couldn’t say no. 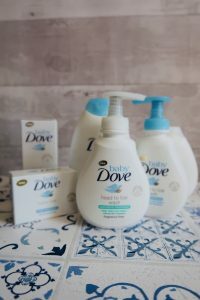 I’ve been a fan of Dove for a while (particularly their Self-Esteem Project) so what a great chance to test out their baby range! Baby Dove provide your baby with skin care that goes beyond mildness and restores essential moisture. Sounds good, right? We all want whats best for our kids. All of the products come in a moisture rich and sensitive version, which means that you get the choice if your child’s skin is sensitive. You get the impression that Baby Dove is a gentle, sensitive brand anyway, so both would be great options. They smell lovely! So fresh and clean smelling, and not overpowering though. I particularly liked the head to toe wash, with its handy push-down dispenser. Sometimes, when bathtime is hectic, we’ve been known to knock open bottles into the bath tub, but no such problem with this. I also found that it was quite resistant to push down to get the head to toe wash out, and my 3 year old couldn’t do it. So that’s a plus point – no big puddles of wasted wash (although i’m not sure if this was intentional, or just the bottles that I received!). And it also meant that there wasn’t any waste when it came to washing either – just a couple of pumps was all that was needed to make sure the kids were clean! The babywipes were gentle and very effective – bum changing isn’t a very pleasant experience, but these wipes did the job quickly and perfectly. They say that they are as gentle as water, which is a big plus (and means that they are suitable for newborns too). The soap is now my handwashing bar of choice too – it takes pride of place by my bathroom sink. 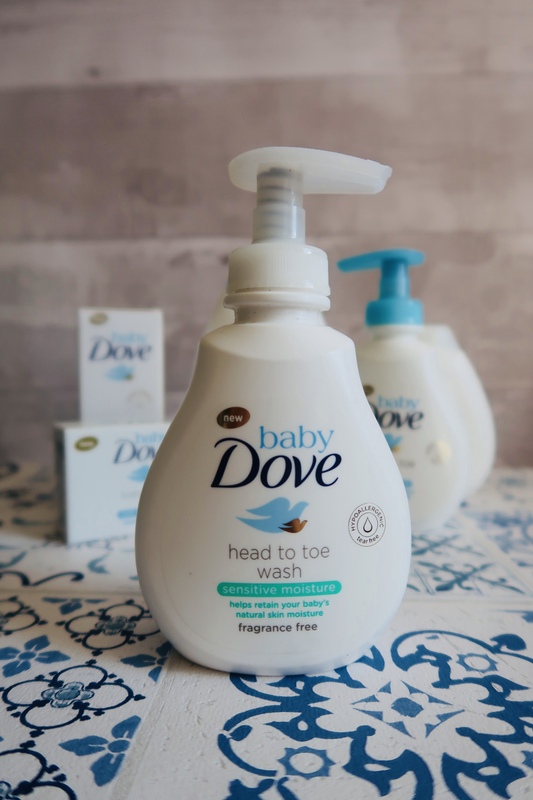 I would absolutely recommend Baby Dove to parents who are looking for a trustworthy and gentle brand to use on their little ones.